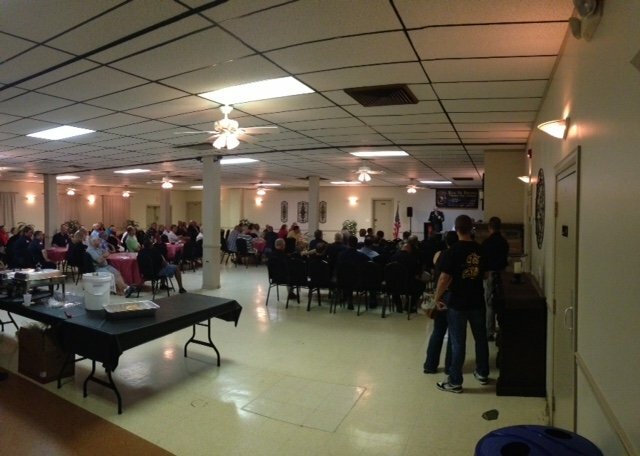 On Thursday evening, August 6th, the King of Prussia Volunteer Fire Company was privileged to host the inaugural opening ceremony and keynote speaker for the first annual Keystone Firefighter Conference. To kick off the ceremony the KPVFC honor guard presented the colors. Immediately following the emcee for the evening, KPVFC’s President Dr. William Jenaway launched the conference’s first session, which was a panel discussion focused on recruitment and retention within the volunteer fire service. Amongst the panel members were representatives from Abington Township Fire Department, Flourtown Fire Company and King of Prussia Fire Company, represented by our own Fire Chief Jim Gallagher. Following the recruitment and retention discussion, Dr. Jenaway graciously introduced the conference’s keynote speaker, Chief Bobby Halton ret. Chief Halton is the editor in chief of Fire Engineering magazine, the education director of the Fire Department Instructors Conference (FDIC), and is also the Editorial Director for Fire Rescue and Fire Apparatus magazines as well as Firefighter Nation website. Chief Halton’s presentation was tailored to all volunteers and focused on the true meaning of duty, honor, and courage. The officers and members of KPVFC would like to thank the conference organizers for the honor to host this inaguaral event and all visiting instructors and dignitaries including Pennsylvania’s state Fire Commissioner, Tim Solobay. We are looking forward to participating in the many conferences that lie ahead.